The perfect gift experience for Monkey and Meerkat lovers. Take part in a one-to-one Keeper Experience behind the scenes to meet our Meerkats, Siamang Gibbons, Black and White Ruffed Lemurs, Monkeys and Skunk. Go behind the scenes and find out what it's really like to be a zoo keeper as you help with daily enclosure maintenance and food preparation. 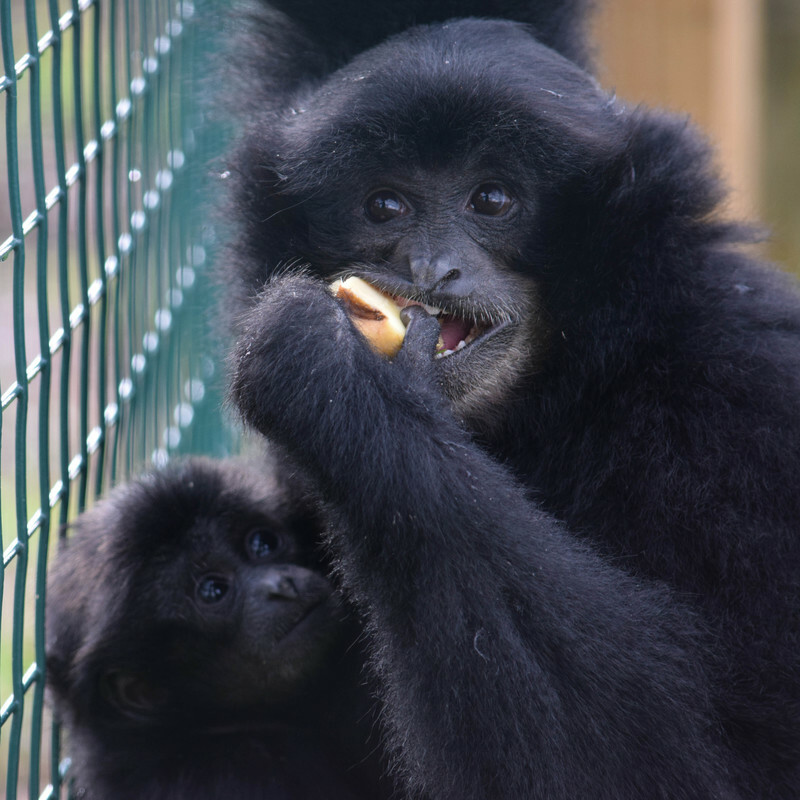 First it's off to meet and feed our Siamang Gibbons, Beatrice, Elwood and their 3 boys. You'll also get to meet the Meerkats and feed them a yummy bug breakfast. Enjoy a monkey experience with our cheeky little monkeys, the Cotton-top Tamarins and the Common Marmosets. You'll finish up by meeting Lenny the Lemur. All whilst learning some fantastic facts from our highly experienced keepers. Our keeper experience souvenir pack includes free day entry to the zoo for the participant(s) and one accompanying adult, a personalised certificate of achievement and a complimentary T-shirt to remember your experience. Monday, Tuesday, Thursday, Friday, Saturday and Sunday from 8.30am - 10.30am. This would be the perfect gift experience for a monkey or meerkat lover, or even just a treat for yourself. Are you ready for an exciting and exclusive day out? Don't forget your camera!